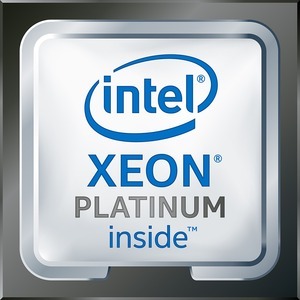 Intel® Xeon® Platinum processors are the new foundation for secure, agile, hybrid-cloud data centers. With uncompromising security and exceptional two, four, and eight+ socket processing performance, these processors are built for mission-critical, real-time analytics, machine learning, artificial intelligence and multi-cloud workloads. With trusted, hardware-enhanced data service delivery, this processor family delivers monumental leaps in I/O, memory, storage, and network technologies to harness actionable insights from our increasingly data-fueled world.